Tourism stakeholders have been advised to be innovative and strategic in promoting the country's attractions abroad in order to boost the number of visitors. 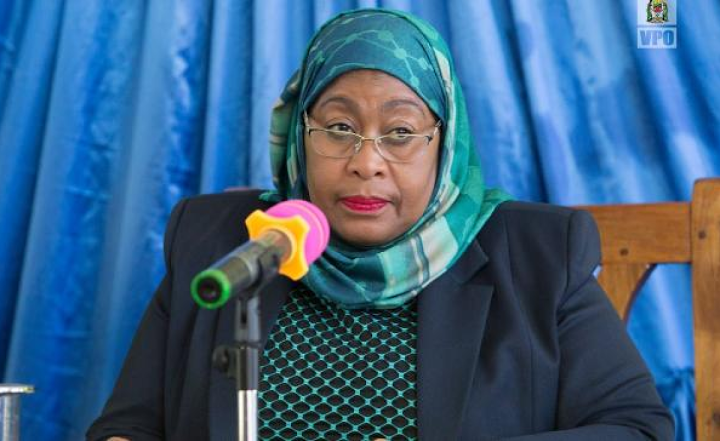 The Vice President, Ms Samia Suluhu Hassan made the remark on Friday during the Swahili International Tourism Expo (SITE), which was held in Dar es Salaam. "Tourism is growing very fast in Africa. It is high time stakeholders ensured that they attract more foreigners to visit our country," she said. Ms Hassan added: "I know this sector very well because I once served as the minister for tourism in Zanzibar. Tanzania is among the few countries in the world that are endowed with abundant tourist attractions. About 28 per cent of our land has tourist attractions. Therefore, we have to be strategic and exploit our full potential to boost our revenue." Over 180 tourism agents from 30 countries across the world attended the three-day Expo. 150 companies from different nations were well represented. The participants were displaying their goods and services that come from the tourism industry. Reports from tourism authorities have shown that in 2016 over 1.3 million tourists visited Tanzania and that by 2025, revenue from tourism will hit Sh16 billion per annum. The minister for Tourism and Natural Resources, Dr Khamis Kigwangala said if the Expo's potential was fully utilised, it would give an opportunity for small entrepreneurs to promote themselves on the international market. "This Expo has gathered a lot of tourism stakeholders from over 30 countries worldwide, small entrepreneurs do not have enough resources to promote themselves internationally, therefore this is a golden opportunity for them," the minister said. The Chairman of the Board of Tanzania Tourism Board (TTB), Judge (Rtd) Thomas Mihayo thanked President John Magufuli for his efforts in supporting growth of the tourism sector. "These efforts of our President and his team will not be in vain, they will help make Tanzania a tourism hub, We hope that Tanzania will be the first country that comes to mind when the tourists think of where to visit," he said. "Without government support, this sector will not grow because there are several issues that needs financial and policy support. Monetary support is needed especially in the infrastructural development such as roads, bridges and electricity in the areas where there are tourist attractions." Earlier, while welcoming the guests and participants of the exhibition, the Executive Director of TTB, Ms Devota Mdachi said the TTB's expectations were to see the sector flourish after the exhibitions.